This was my favorite day onboard the NCL Jewel by far. It was a beach day for us at the Maya Chan. 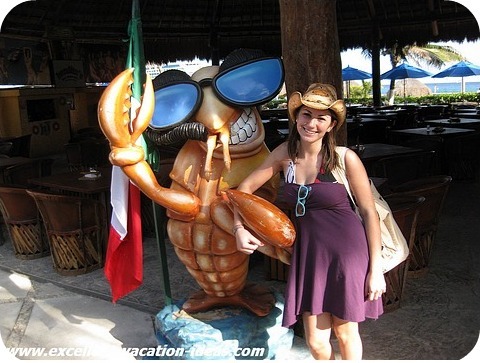 Click here for our experience in Costa Maya Mexico. After our awesome day at Maya Chan, we wanted to check out the shops at the pier. You could buy a variety of souvenirs and alcohol. You could even find certain prescription drugs if you wanted to. The shops outside the port seemed less expensive. Montana found a great hat (which made me happy!). Dinner tonight was Teppanyaki. This is always one of our favorite meals, and the Norwegian Jewel didn't disappoint! The food is amazing, and the chefs are always entertaining! They even managed to do a "Volcano" for us, without the flame of course (no open flames on a cruise ship). This was also the night of the NCL Chocolate Buffet...YUM! 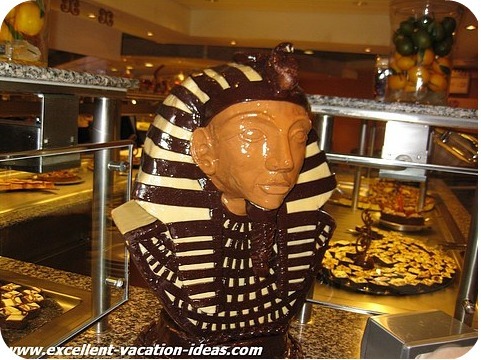 Villa (and I think suite) passengers get a preview of the chocolate before the rest of the ship. This makes it that much more fun! Because of the time change in North America from Standard Time to Daylight Savings Time, and travelling to Central America, we had a lot of time changes. It was great on the way to Roatan and Belize as we gained an hour, on the way back however, it wasn't so great. We had a long sleep in, until one of Montana's new friends called and asked if we would like to join her and her family for lunch at Cagney's. I guess it was more brunch for us. We had a long leisurely lunch. I wanted to try something I had not had before. So I tried the Fattoush salad with Lamb. It was fabulous! Montana decided to hang out with her friends and go to the gym. Tonight was the big show that everyone talked about. The Cirque Bijou. So we planned our day and evening around it. Next we hung around the cabin a bit and decided to play Shout it out movie trivia. It was a lot of fun! We don't normally join in on the cruise activities like trivia but we really enjoyed it this time. Didn't make it to Bingo though. We decided on Chin Chin again for dinner. We caught the 9:30 pm show and it was fabulous. We were really impressed as it was almost on par with a Vegas type Cirque show. We had a bit of motion on the ship that night, and I kept thinking how hard it must be to be an entertainer on a cruise ship! 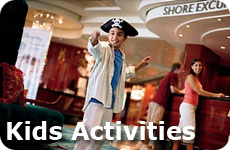 We had heard that the entertainment on board the NCL Jewel was the best and they are right! 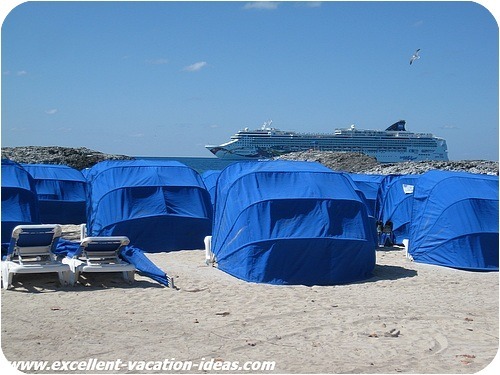 We aren't real beach people and to be honest were going to treat Great Stirrup Cay as a sea day. We had already had an amazing beach day on Costa Maya, so we knew we were going to just relax again on this day. Warren and I had been to Great Stirrup Cay in 2006 while on the NCL Dawn. We knew it was a great beach day, but other than that there wasn't much to do. So after a late sleep in again, and brunch in Cagney's (the time went forward another hour to put us on Miami time), we boarded the tenders to have a look around. After a couple of hours (most of which was tendering), we came back to the ship to pack. Our luggage had to be out by 1 am and we didn't want to have to worry about it later that night. This was our last night at sea. We wanted dinner to be special so we went back to Le Bistro. It was just as fabulous as the first time. The price has gone up recently, from $15 to $20 and it is still worth it and then some. Montana had the lobster and said "It was beautiful". Warren loved the salmon again, as did I with the lamb. The service was incredible and we didn't have room for dessert. So when we arrived back to our cabin, they had sent it there for us for a midnight snack. Debarkation day. Always a sad day, especially after an amazing cruise. The NCL Jewel does debarkation really well. It is also "Freestyle". It always amazes me to see people hanging around the public areas. 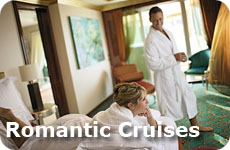 You are not required to leave your stateroom until you are ready to go, as long as it is before 10:00 am. 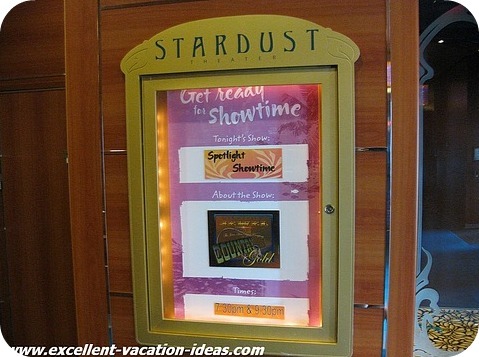 We had to include this in our Norwegian Jewel Review. As far as I know NCL is the only cruise line that does freestyle debarkation. This is one of the best things about NCL. So we got up to have our last breakfast at Cagney's (they stopped serving by 8:20 am) and finish packing. When we returned to our cabin, our butler asked if we wanted to check out a Garden Villa as the guests had already left. Of course we did! Montana was shocked. She couldn't believe how big it was. 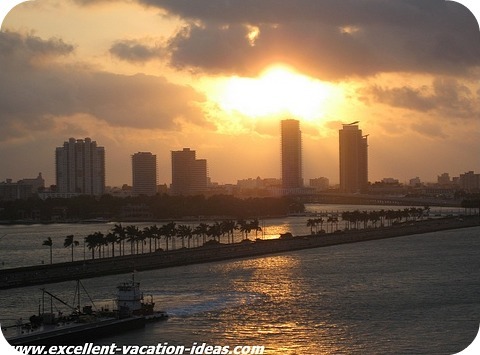 We had been in one on the Norwegian Jade as some of our cruise critic friends stayed in one. It had a large living/dining room, a master suite, and 2 extra bedrooms. 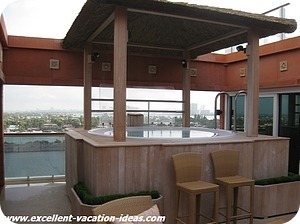 It's own Jacuzzi and sun deck. 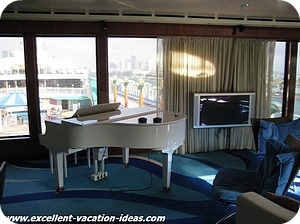 The living room overlooked the pool area of the main part of the ship. After our little tour, we got our bags and met Adrian, the concierge for our VIP debarkation. We got to bypass the long NCL line to get off the ship, however, we got caught up in the logistics line into the baggage area and customs. Once we found our bags and waited for customs to stamp our passport (we are Canadian), we made our way out to a crazy port as we waved goodbye to the NCL Jewel - our home away from home for the last week. We were renting a car as our flight home wasn't until the next afternoon. We rented from Hertz and found another family at the port (who we had met at Maya Chan) who also rented from Hertz. The husband was a Hertz gold member and they had a really easy time renting their car. We all waited for the Hertz bus to show up. About 15 minutes later it did and we all piled on to go to the Hertz office. Once there we were stunned at how many people were in line at the office! It took an hour to rent a car. There were 5 ships in port that day. The other family we waited with were in and out of Hertz in less than 10 minutes! Oh well, we got our car, piled in the luggage and off to Sawgrass Mills for a day of shopping! Some people love this itinerary as it has destinations in the western Caribbean that they hadn't visited before. Warren and I had been to Belize and to Great Stirrup Cay before. We weren't excited about this itinerary, but in hindsight we enjoyed it. It really allowed us to relax and decompress, enjoy the NCL Jewel and spend time together as a family, which was what was needed this trip. 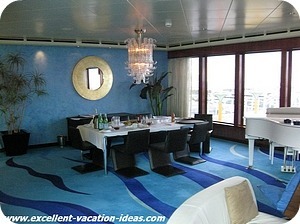 Overall our Norwegian Jewel Review is that we LOVED the Norwegian Jewel!